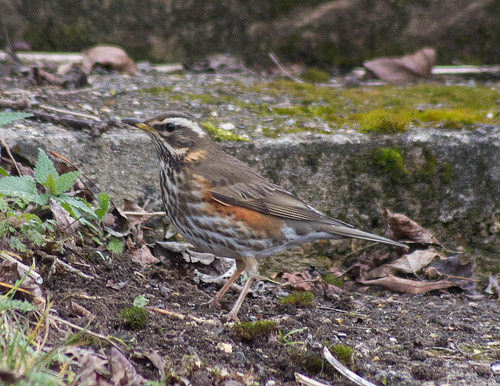 The Redwing is a typical winter visitor. The bird breeds in Scandinavia and Russia and can sometimes be seen in rather great flocks in winter. It has a distinctive red flank and a white eyestripe. 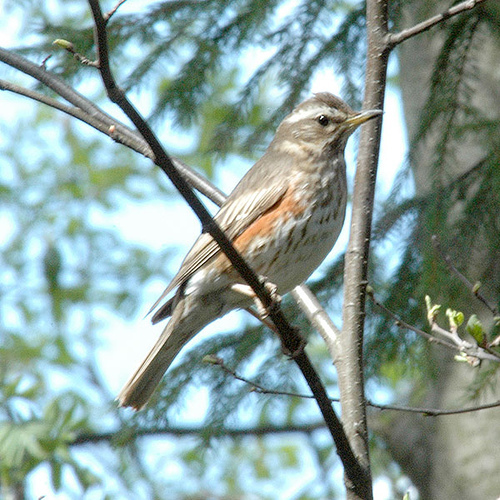 The Redwing has striking red flanks and a white eyestripe.